Horological Meandering - Spotted in Paris: Universal Genève Space Compax Ref 885104 and Tri Compax Ref 222100 and 885101. Spotted in Paris: Universal Genève Space Compax Ref 885104 and Tri Compax Ref 222100 and 885101. During my Saturday watch shopping in Paris, I could see a bunch of eye catching vintage Universal Genève. 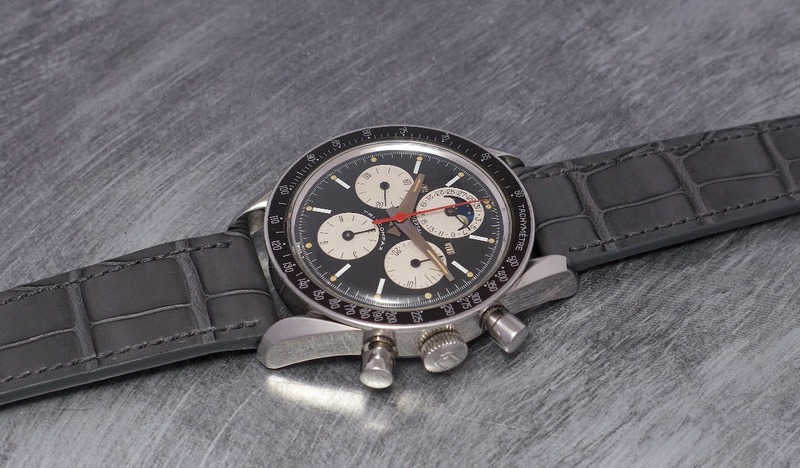 It is claimed that this Space Compax was conceived to challenge the Speedmaster as a moon watch, which would explain the name of this watch, while it seems that it is, naturally, a diver chronograph, with its 250 meters water resistant case, its prominent crown and pushers, and its bezel. It is a rather big watch ( 40 mm ) and thick, too ( 15 mm ). Proportions you can guess from the bold case. 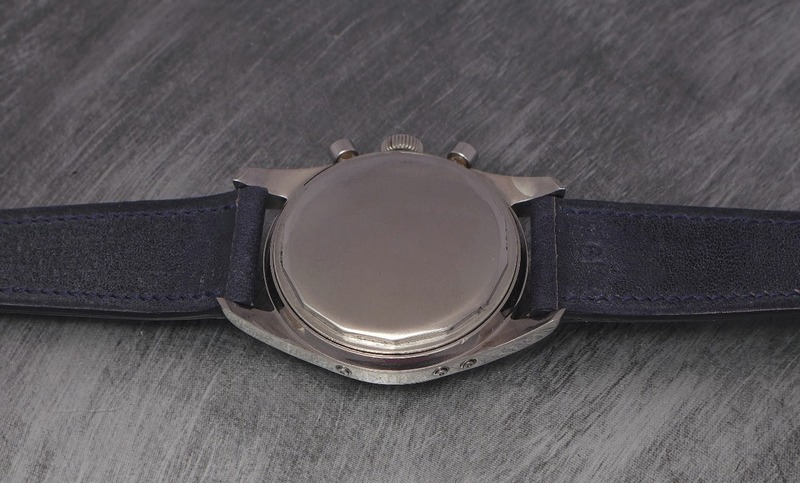 The movement inside is the Cal UG 85, which is a Valjoux 72. A watch with a lot of personality, to say the least. But this is not my favorite, among the three I could see this Saturday. I was more attracted by these two Trips Compax, and especially the first one. 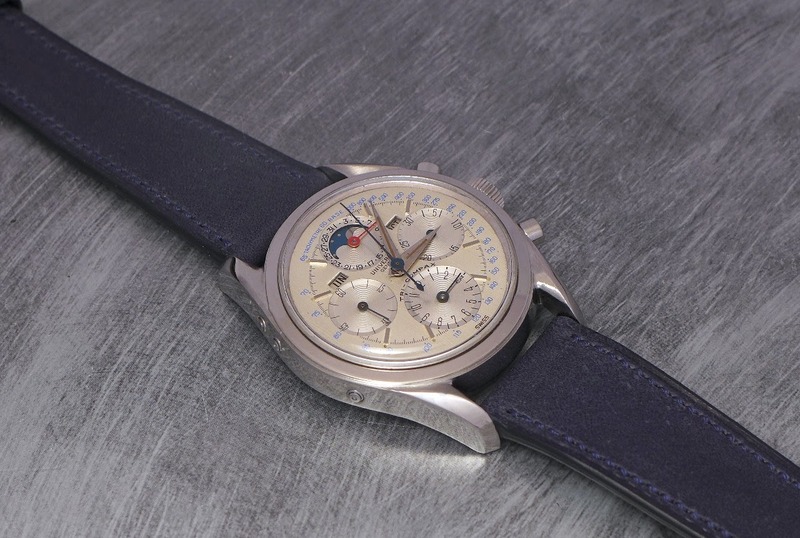 The Tri Compax Reference 222100 is from the very early Sixties. This version blends character and elegance, with its beautiful and strong case... Have a look at these lugs! And its brushed dial with the circular decoration of its sub dials. A dial which is an example of balance and symmetry, too. 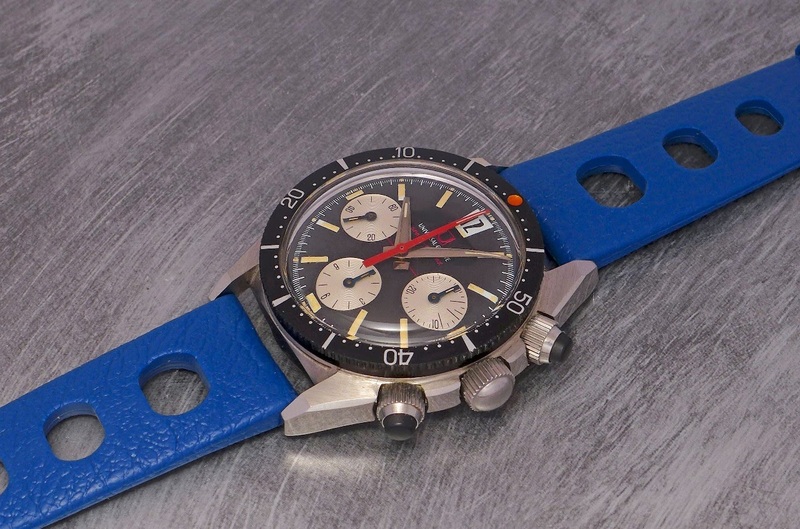 The second version is the reference 885101, basically the same than the 222100, but with a black dial and a tachymeter bezel, and long rectangular painted indices rather than applied. Compared to its silver brusher " brother ", the Trip Compax 885101 looks more sporty. To each his own, but I would favor the 222100 for its elegance. Both have the same 36 mm case. Don't worry, in the real, it looks bigger ( 37 / 38 mm ). 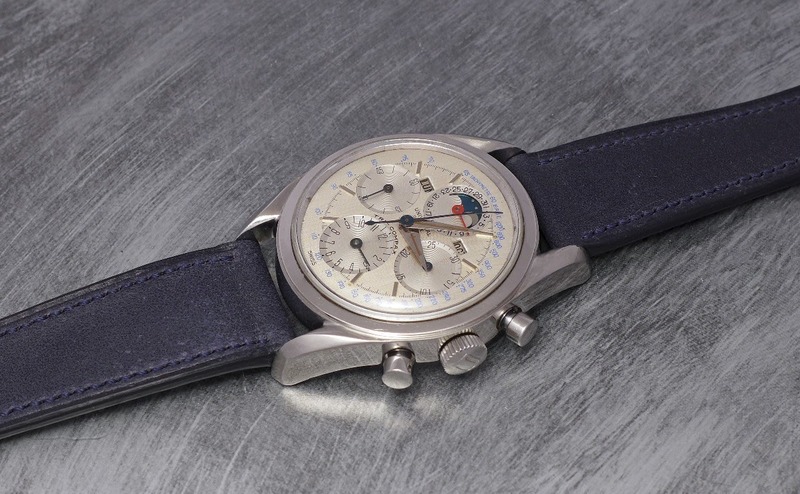 I must confess a huge fondness for these complete calendar chronographs. I always found them very class(ic). I would like to thank Antoine De Macedo for showing me his special " reserve ". It is always a pleasure, and a nightmare, as these watches feed my dreams. Window shopping in Paris on Saturday..
Fuel tax rise cancelled in France.